The inescapable part of adult life is being part of the workforce, dedicating most of our days to one industry or another in order to earn money. 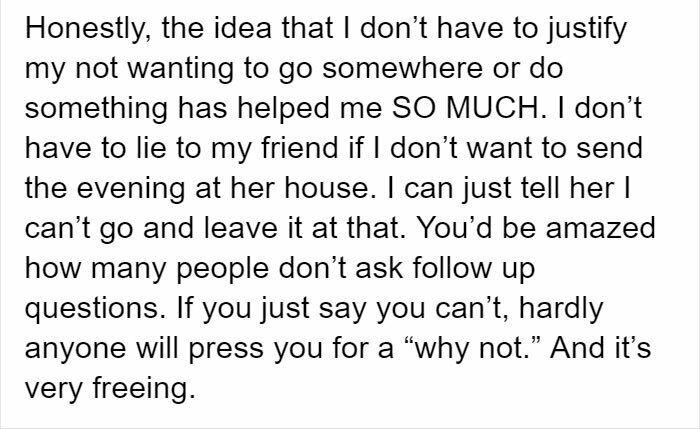 Bills need to be covered and food must be put on a table, so only a small percent of us can escape the routine of going to work. 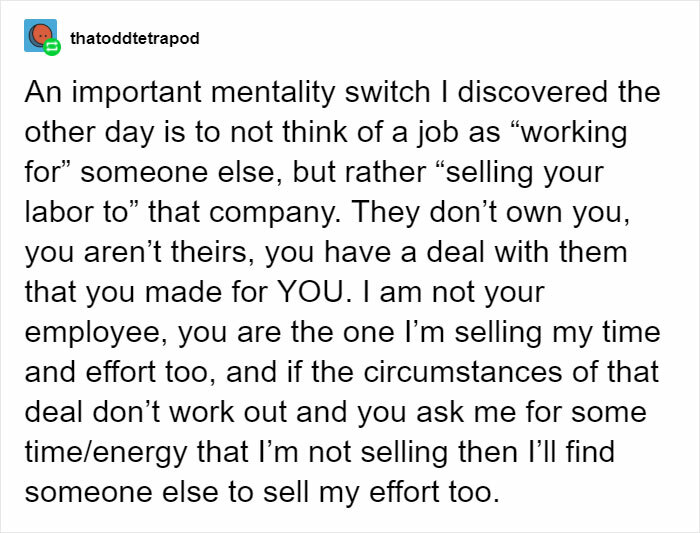 And when you’re laboring away to make the ends meet, living paycheck to paycheck, sometimes it allows the employer to gain the upper hand in your decision-making. 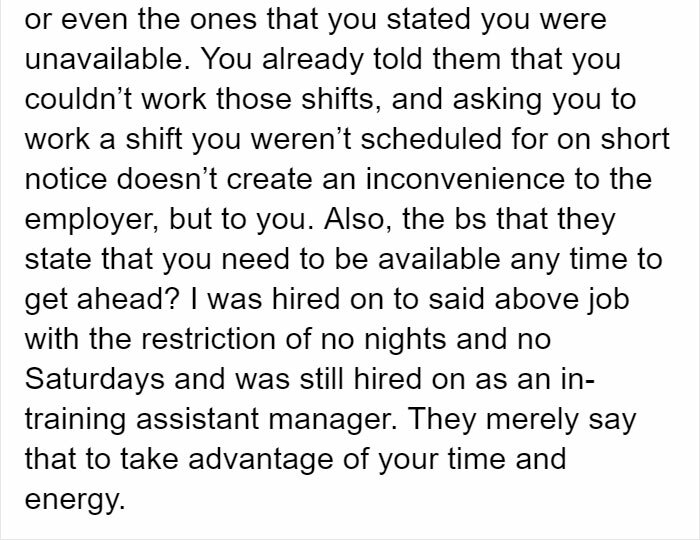 It’s not rare that employees working in shifts run into an uncomfortable situation where they are asked to cover. 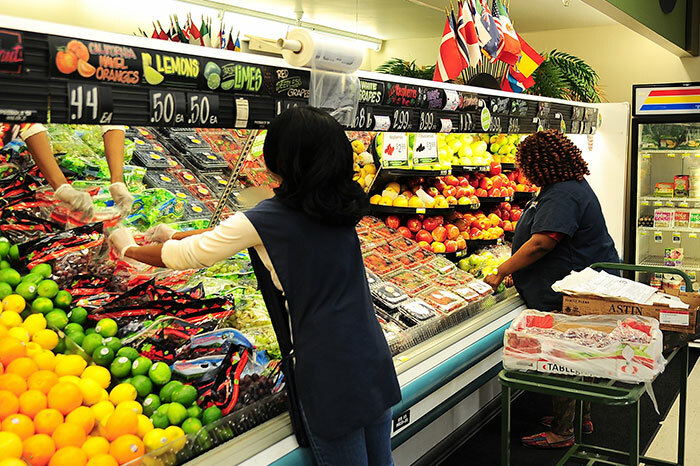 And while coworkers sometimes have emergencies and need some help to cover their shift, often times ones coming to the rescue are not treated as if they offered a helping hand. Sometimes the employer sees it as something that should be expected and required of the worker. 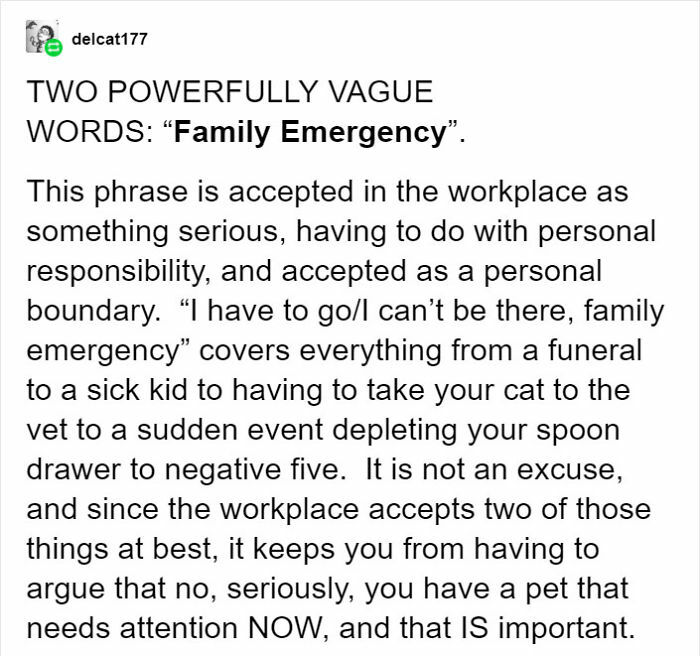 Well, one Tumblr user thesnadger, decided to write out a solid reminder that despite being in the workforce, we’re all human beings and should have our limits. 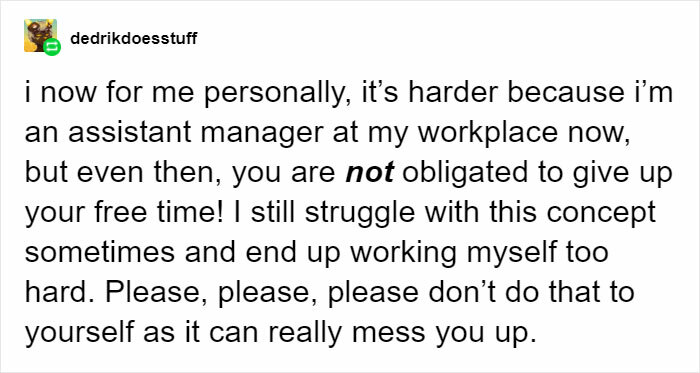 Snadger lays down some very simple, however very effective rules on how to deal with a boss who might try to pressure you into work that you didn’t sign up for. 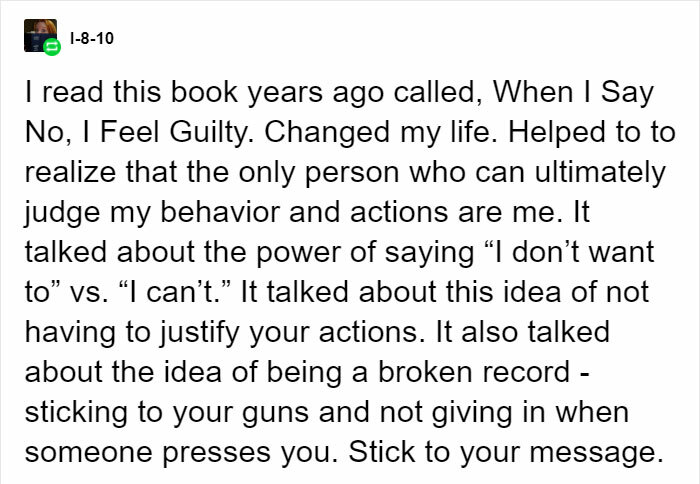 Her advice addresses one the bigger issues the younger generations seem to be plagued with – always having to reason themselves, even when they’re simply saying “no”. And some employers use that to their advantage by pressuring workers. That’s when Snadger proposes one simple phrase. 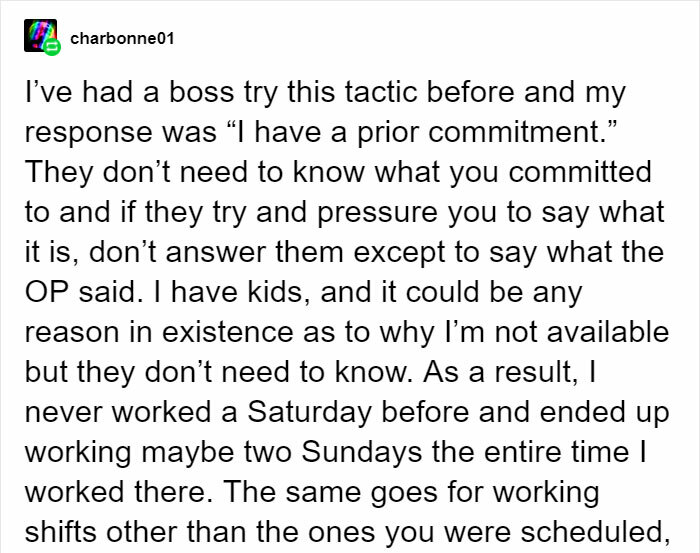 Saying “I won’t be available” is what she recommends to people who have trouble saying “no” to their boss.